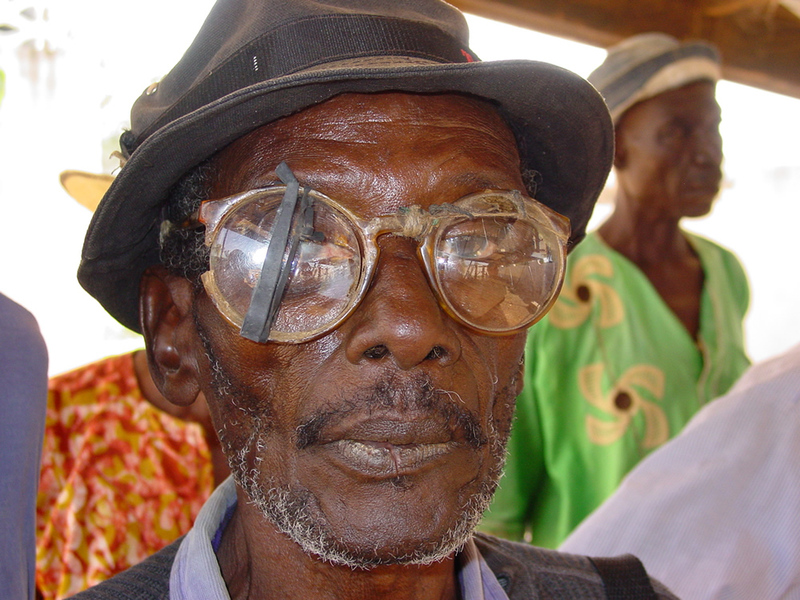 Mission for Vision travelled to the far north of Ghana to provide eyecare to those living in the Bolgatanga region. The team comprised of 3 optometrists 3 dispensers and 8 volunteers who were involved in organising the people, registration and screening the patients. The clinics were located in Nakpanduri, Sandema and Tongo and this was one area where sadly we had to turn so many away because of sheer numbers. Bolgatanga, northern Ghana, several hours' drive north from Tamale airport. Clinics were held at Nakpanduri (2 days), Sandema (2 days) and Tongo (1½ days). The team worked closely with a local optometrist, and with a local ophthalmic surgeon and his team who were able to dispense eyecare drugs and to arrange for cataract surgery for those who needed it the most. There were fourteen in the team, including three optometrists, two dispensing opticians, a nurse, structural engineers and a children's worker.